Not Even The Skies Are The Limit For Our Quadcopter! This awesome display by 30 quadcopters was the work of Ars Electronia as they lit up the skies of London to celebrate the release of the new Star Trek film. They marked out a giant Star Trek insignia 300 feet tall at a height of 118 to 426 feet above the capital. It got us here at Gadget Inspector thinking just how impressive our quadcopter is and how far reaching its capabilities are. 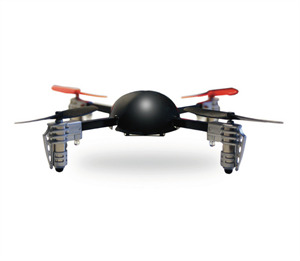 Our Micro drone Quadcopter pushes the boundaries of what is physcially possible with remote control flying. It has 4 rotary blades, a self stabalising system, gyro-control and an amazing range of 120 metres. It is these kind of features that helped it achieve a stunt like this and it is these features that can provide you with endless flying possiblities. This is literally the most sophisticated flying machine on the market and can even peform 360 degree flips at the push of a button. At this very moment our quadcopter is on special offer so there has never been a better time to take to the skies and play with the laws of physics. The Welsh and the English don't always see eye to eye but one thing we do have in common is celebrating our sporting events properly. This Saturday sees the Six Nations title decided in Cardiff and whatever the result we can count on both fans to indulge in the festivities. Why not go that extra mile and don your country's national flag on this 2 and a half pint Ultimate Beer Bong. Unlike the results of Saturdays game purchasing these Beer Bongs is a win win situation. Whether you need to drink to victory or drown your sorrows our Ultimate Beer Bongs will ensure you have a night to remember, if you manage to do so that is. The boys have done the hard work and the stage is set beautifully and now it's up to you to set yourself up for a memorable weekend. You don't like rugby? That's fine, the match only lasts 80 minutes. Find yourself with fellow countrymen, a shed load of alcohol, our Ultimate Beer Bong and I guarantee you that you've already won. What is wrong with the world today? Well, according to my grandfather men aren't 'men' anymore and we are of course in a recession. Let's just say I have found a great present for him and an answer to his woes of the world. Ladies and gentlemen I give you...The Credit Card Multi Tool. 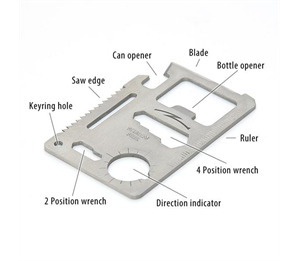 This great little gift would make an ideal first tool kit because let's face it, the closest men come today to owning a tool is a bottle opener (and if they don't, this product also has that covered ). 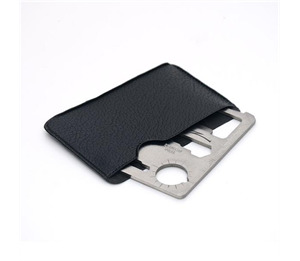 The real clincher is that this multi-purpose tool is just credit card sized and so can perfectly fit in that slot in your wallet where your numerous bank cards used to go. Score. The Credit Card Multi Tool presents a tin opener, a knife, a screwdriver, 5cm ruler, bottle opener, wrench, saw blade, direction ancilliary indicator, lanyard (still listening ladies?). Think 'Swiss Army' credit card. At £2.99 this is a steal and should be in the wallet of every festival goer, student or wallet owner. We've always had a soft spot for RC helicopters here at Gadget Inspector, and the latest addition to our flying squad is one of the best we've seen. The brand new iConheli is a remote control chopper with a difference - instead of an RC handset, you control it with your iPhone or iPad! This is one ultra-modern RC helicopter. The iConheli uses Bluetooth to sync up with your mobile device, allowing for a flying range of up to 30 metres! It's pretty easy to fly, too - if you know how to use your iPhone, you've already halfway to mastering the iConheli. 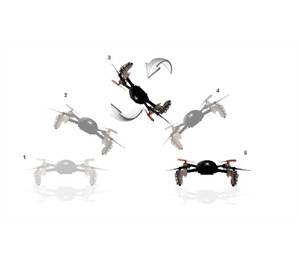 With a bit of practice, you'll be hovering, landing, and buzzing around like a pro. A remote control chopper makes a fantastic gift for the gadget geek in your life, so if you know someone with an iPad or iPhone, this iPhone RC Helicopter could be the perfect present idea for their next birthday. It's sturdy, it's got a stylish black design, and it speeds through the air like nobody's business - what more could you want from a remote control chopper, eh?